Chris began tattooing in 1999. Working at various shops throughout Southern California, in the early part of his career, he had the opportunity to work with some of the artists that he admired early on. As Chris matured as an artist, he began to study and focus on large-scale traditional American and Japanese tattooing. As he progressed in the craft, Chris and his artwork began to become noticed. 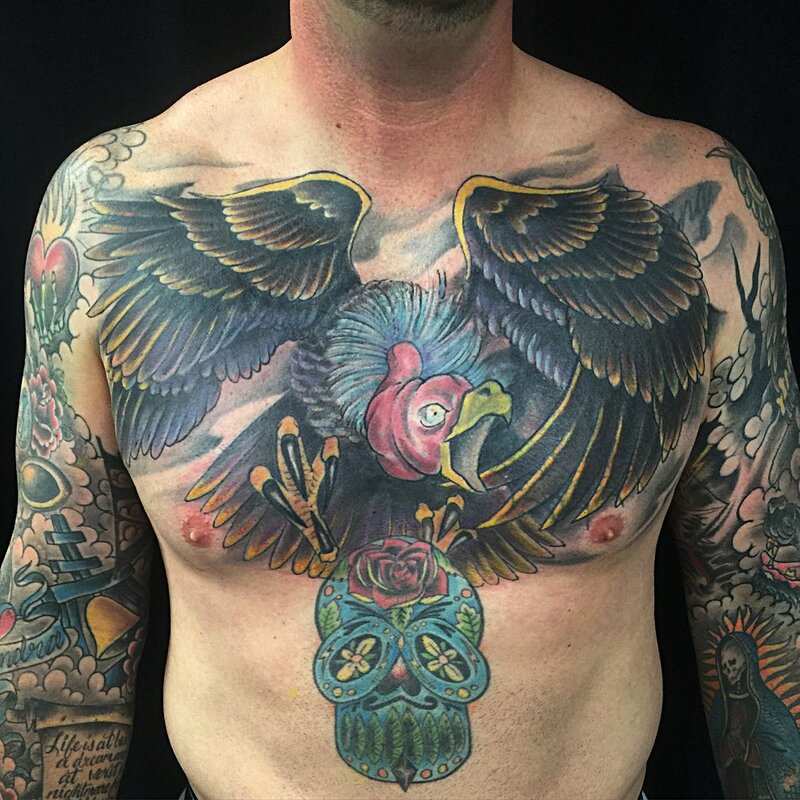 His work has been published in Tattoo Magazine, International Tattoo Art Magazine, and he has been interviewed on industry related topics that has been published in the Inland Empire Weekly. In 2010 Chris decided to follow his dream by owning his own tattoo business. He began to lay the ground work for a one of a kind tattoo shop that would be a family friendly, welcoming environment, opened to people from the biker to the banker. In 2011, Chris and his wife Jamie opened the doors to Breakthrough Tattoo. Since then Chris and his crew have strived to build and maintain a unique studio that allows the artist and clients to work together in a relaxed atmosphere and to achieve the best results possible for each and every tattoo aspiration.